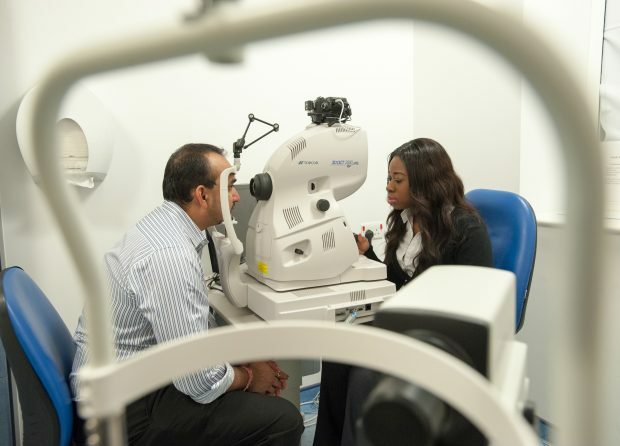 Diabetic eye screening is an important part of diabetes care but some people with the condition never attend their screening appointments despite being invited. These people are more likely to develop diabetic retinopathy, a condition that can lead to sight loss if it's not treated. Screening is a way of detecting the condition early before you notice any changes to your vision. If retinopathy is detected early enough, treatment can stop it getting worse. I managed the local Sutton and Merton diabetic eye screening service in London between 2009 and 2014. In 2013, we evaluated the service to try to understand better why some patients had failed to attend after numerous invitations over at least 18 months. Only one patient reported forgetting their appointments. Information on GP systems was incorrect for some patients. Some were ineligible for screening but the programme had not been notified of their status. Some had moved or died abroad but their GP practice had not deregistered them. Some had disabilities and specific transport needs we were unaware of. A review of consent and eligibility coding on GP software indicated further relevant information was available for many patients. However, important information was often recorded in free text notes on the GP practice software, making it difficult to identify and extract. How can we use this information to help improve uptake? In addition, better communication between primary care and local screening services may provide important information to help support attendance among patients with specific requirements. It could also help address any patient misunderstandings regarding screening and identify patients who should not be invited for screening. A full report on the service evaluation can be found on BMJ Open. Many thanks to Alice Forster and Irene Stratton for co-authoring the report and for helping to prepare this blog.